← Do you really need a DSLR? Small form factors are the new black, and Intel wants in on the action. Compact systems such as Lenovo’s ThinkCentre M92p fill a niche between all-in-one PCs and standard desktop PCs. They take up little space and can be hidden away, yet still offer substantial PC performance. Intel wants to push small form factors even smaller, with its new ultra-compact form factor. 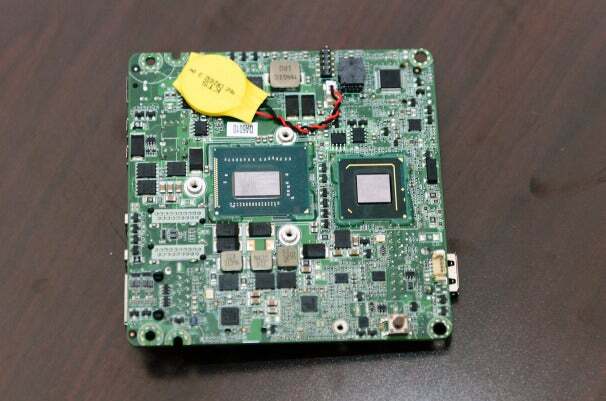 Intel first previewed its “Next Unit of Computing” or NUC in May 2012, though details were somewhat sketchy. 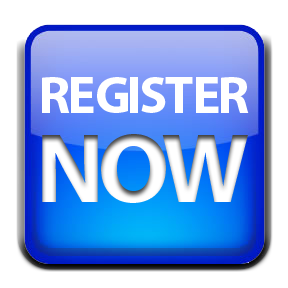 The company offered few details on storage, specific CPU configuration, or availability. Now Intel is finally prepping the tiny board for October shipments. 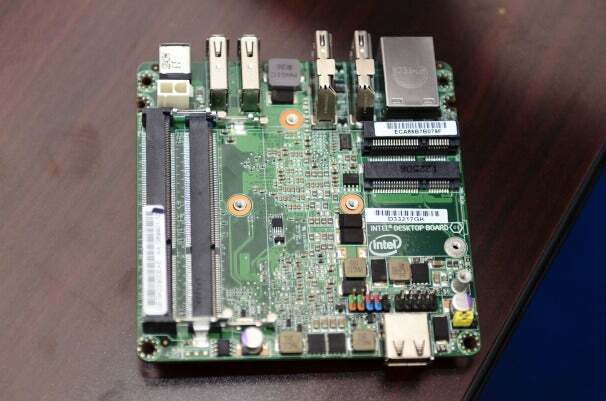 The 4-by-4-inch board houses a mobile Core i3 Ivy Bridge CPU and chipset on one side. The CPU includes Intel HD 4000 integrated graphics, but using a mobile CPU reduces the power footprint. NUC is an Intel-developed program, with the goal of shrinking a full performance desktop PC into as small a form factor as possible. While it might seem to compete with Via’s Pico ITX, the performance is substantially better than the Via Centaur CPU on those boards. The 4-by-4-inch format was chosen as the smallest board capable of supporting an Intel Ivy Bridge CPU with supporting core logic and expansion. NUC is aimed at OEMs that may need the small form factor for embedded applications as well as hobbyists looking to build tiny computers into cards, home theater systems or tiny servers. The dedicated video block inside Intel’s HD 4000 GPU can handle two HD video streams at full frame rate. Intel isn’t planning on selling complete systems, but will source a small case and external power supply for buyers who want to experiment with building a system. Intel will offer two boards, with the key difference being connectivity. One will include a Thunderbolt port, while the other will have a wired Ethernet connector instead of Thunderbolt. Both will still have WiFi options, similar to those used in many laptops, which will take up the lone mini-PCI slot. OEMs can feel free to use the mini-PCI slot for other purposes if they don’t need WiFi. Intel will also offer a chassis just big enough for the board plus an external power supply with the units, so hobbyists and OEMs can experiment with these tiny PCs. The case itself is barely bigger than the 4-by-4-inch board, though the power brick is an external unit. The cases will even have VESA mounts, so can be attached easily to the backs of LCD displays or wall mounted. Pricing isn’t firm yet, but complete kits are targeted to be under $400 for a board, case, and power supply. 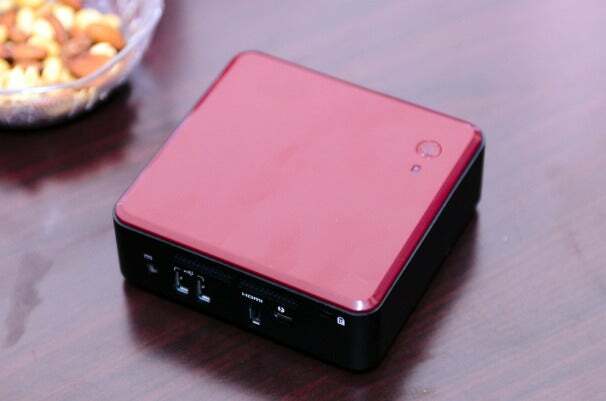 The two first NUC kits will be available in October.